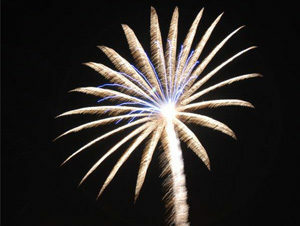 It is believed that fireworks were first created and used in China in the 7th century at festivals. It soon spread to other countries and cultures. However, they were not as colourful as they are today. As time went on, they became more popular and are now a specialised profession. A lot of the fireworks used, were rockets on a stick. 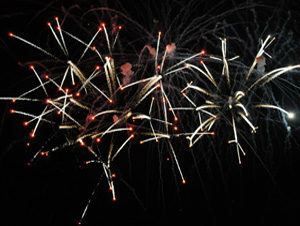 Gun powder was a main source in creating the effects of fireworks. Various forms were used in warfare. Today, we have an array of colours and effects. Some of the effects are known as Peonies, Chrysanthemums, Crossettes, Strobes, Willows and Palms. The peony is the most commonly used effect in aerial shells. It is a spherical shape burst of coloured stars. When the stars burn, there is no tail effect. 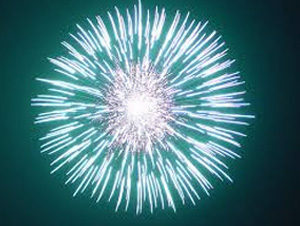 The Chrysanthemum is also a common spherical shaped burst of coloured stars which have a short burn time and then followed with a crackling effect. 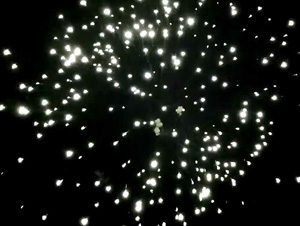 With the Strobe effect, this is a series of quick flashing stars, which is like a quick blinker effect. The Willow is similar to a Chrysanthemum, but the flame trail slowly extinguishes, but as it falls, it creates a willow-tree like effect. The Crossette is characterised as a star that breaks into 4 pieces and shoots outward from the centre in an ‘X’ like effect. When several of the stars break together, they cross over each other to produce the effect. The Palm is where there are relatively fewer, larger stars which burst in such a way that they produce large arms like a palm-tree. They have a thicker tail effect as they rise to give the trunk effect of the tree. 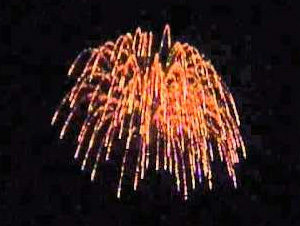 Colours are usually created from pyrotechnic stars. These stars create intense light when ignited. They have five basic ingredients; a fuel which allows the star to burn, the colour which is a chemical to produce it, an oxidising agent, being a compound which chemically oxidisers the fuel, necessary for combustion, a binder to hold the compound together and a chlorine donor which helps strengthen the colour of the flame. Although, sometimes the oxidiser does this. Some of the colours that are used are red, produced by Strontium or Lithium, orange, produced by Calcium salts and yellow is created by Sodium. Barium creates the greens whilst Copper creates blue. The white you see is created by Titanium or Aluminium to name a few. Aerial Pyro-Tech is a Brisbane fireworks based company which uses a huge variety of these effects and colours to enhance any event. We’ve been involved in providing creative input into some of the most spectacular fireworks displays. Some events include the Maryborough Technology Challenge and New Years Eve fireworks displays in Maryborough, the Power Cruise Easter long weekend at Willowbank and the Aspley Hornet AFL New Years eve to name a few. Our displays can be as simple as strings of crackers for events such as Chinese/Vietnamese New Years celebrations to large fireworks displays to wow the crowds at stadium events. We also take safety very seriously and is always the first thing we consider whilst selecting product for any displays we’re involved in. We always ensure that the products we use are suitable for the event’s site, whilst also keeping within our strict safety policies. Remember, we are all limited only by our imagination! 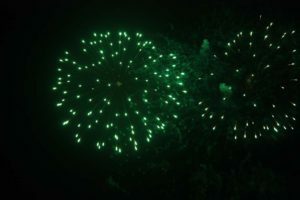 Let Aerial Pyro-Tech create a stunning and truly spectacular fireworks display which will compliment your next special event. Our displays will leave your guests in awe and they will be wanting more. Contact us now to make your event extraordinary! Fireworks are not just fireworks. If you are looking for something out of the ordinary to make your event extraordinary, contact us so that we can help you and your guests have the best experience and for the families to create magical memories. Contact Us for an Extraordinary Event!